Do you get tired and bored on reaching your destination on long road trips? Roger DRIVELONG Car Air Freshener is a unique compact air-freshener, specially designed for use with the absorbing dangler. It is a simple spray bottle. You just must spray on the dangler and its fragrances remains for a very long time. 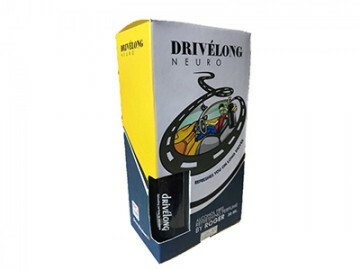 DRIVELONG MEDULLA is the Best Car Air Freshener in India from Roger Motors. Roger DRIVELONG Car Air Freshener really do wonders for your car; it can turn a long, boring drive into a relaxing time behind the wheel with only the fresh aroma filling your sense of smell. You are sure to have a good time listening to your stereo or just plainly enjoying the silence on the road, but Roger DRIVELONG Car Air Freshener is one of the best things you can get to refurbish and personalize your car. Even after drive long distance, you can feel refreshed on reaching your destination. The main goal here is to find the best car air freshener that would suit you and your tastes the most and keep you refreshed on long drives, thus Roger DRIVELONG Car Air Freshener will be the perfect choice. Alcohol Free: Make it less irritating. Customize Use: Like other perfumes, this perfume will not lose its fragrance even it is not in use for a long time. You can use it according to your need. Refreshing: It keeps the atmosphere refreshing and thus maintains cheerful mood on long drives. Universal Aroma: Due to its mild aroma, everybody likes its fragrance. It is the finest quality fragrances made from real liquid perfume, which can be diffused or sprayed on an absorbent dangler Provided Along with DRIVELONG Car Air Freshener, that will continuously release the fragrance in its surrounding. It can be also sprayed in your car’s ventilation system to enhance your journey. If you are a cigarette smoker, eat inside your car, or have pets like dogs accompany you in your car on a regular basis, then there’s a good chance your vehicle can smell bad or unpleasant. Roger DRIVELONG Car Air Freshener is so versatile that it is now well suited for use in your house and even in your workplace. Roger DRIVELONG Car Air Freshener is a unique compact air-freshener, specially designed for use with the absorbing dangler. It is a simple spray bottle. You just must spray on the dangler and its fragrance remains for a very long time. You can re-spray it whenever the fragrance subsides. You can use this spray as a freshener in your house or office too. Now, any car user can easily purchase Roger DRIVELONG Car Air Freshener online through the Roger Techssories website and from Roger’s retail outlet. So, what are you waiting for purchase this super cool product and make your long drives refreshing. Nice fregrance and long lasting. It feels fresh inside car. I have only used Roger Car Charger which is very good.I have bought Roger Car sprey first time. I was looking for a genuine car perfume, sick and tired of Ambi pure n all other brands. As soon as I smelled the car perfume, I felt wow about it. It is a very different fragrance. I worked abroad and the perfumes there are made for the weather. I guess same should be researched and customised for a weather like ours. Even the representative at the counter was young and energetic and full of enthusiasm. He sold me what I was looking for.Secondly, a suggestion for you to work upon. You could start a points system or a rewards card program for buyers where they get discounts on their next purchase. I am your customer since last 3 years. And happy to share you my feedback about your products.I am feeling satisfied by using verious product like, Car Charger, Seat Cover, Perfume, Jumper, oil injection, etc. Air purifier which removes toxic elements in the air from your car.